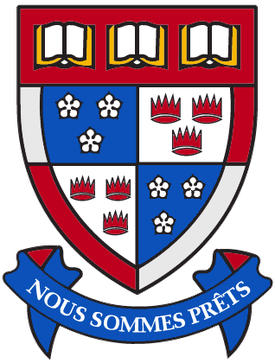 Symbol of Simon Fraser University . Whole symbol used to avoid misrepresenting image. Sufficient resolution for illustration, but considerably lower resolution than original. Intellectual property owned by Simon Fraser University. Used for purposes of illustration in an educational article about the entity represented by the image. The image is used as the primary means of visual identification of this article topic. Protected by copyright and other restrictions including article 6ter of the Paris Convention, therefore a free use alternative won't exist. qualifies as fair use under the Copyright law of the United States. Other uses of this image, on Wikipedia or elsewhere, may be copyright infringement. See Wikipedia:Non-free content.